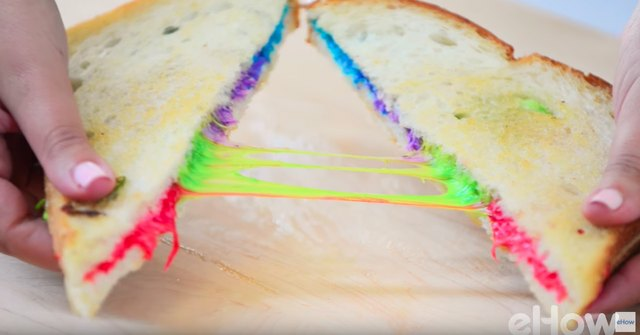 When I saw rainbow grilled cheese for the first time, I’m not going to lie -- I was fascinated. “HOW?” I thought to myself. What takes my favorite snack time treat and turns it into a magical meal? What is this special cheese that makes all these beautiful colors? Obviously sorcery is involved here, but can I get in on this? And, most importantly, how do these mind-blowing sandwiches taste? I began my quest to find the answers, and you know what? I was so very pleasantly surprised. This rainbow grilled cheese is incredibly easy to make! Not to mention fun. So easy and fun in fact, we made a video to show you. 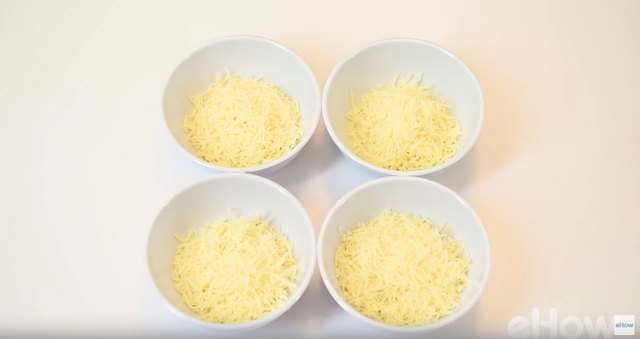 Separate the cheese into the same number of bowls as you have food coloring. We used neon green, blue, purple and pink, so we used four bowls. 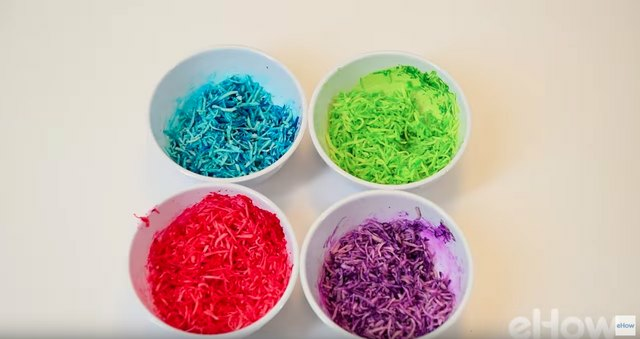 Add in just a few drops of food coloring to the cheese and stir the color in with a spoon or fork. It doesn’t take much to really transform the cheese into the vibrant color of your choosing! Butter one side of the bread and place it on a heating buttered pan. Start adding your colorful cheese in any design or order you’d like. Top it off with another buttered piece of bread and flip it over when the bottom bread is golden brown. Set on a cutting board when both sides are golden brown and the cheese is melted and gooey. Cut into it and be amazed! Brings a whole new meaning to taste the rainbow, right?